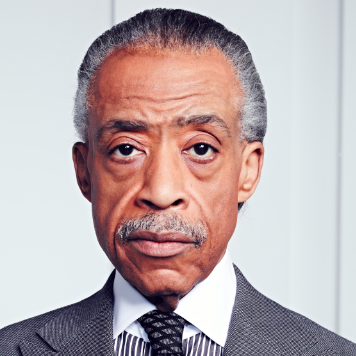 Reverend Al Sharpton, Founder and President of the National Action Network, Baptist preacher, orator, author, political commentator and news caster, is the quintessential political activist, and spokesperson on racial inequities, discrimination and violence inordinately experienced by people of color. Born October 3, 1954, today marks his 64th birthday. As a Baptist preacher, Rev. Sharpton’s career spans more than 50 years. Rev (as he is affectionately called by those close to him) lifts his voice unashamedly and boldly calling for justice bringing light to all manner of inequities that would not otherwise be addressed in the public sphere. On a personal note, have personally seen Reverend Al Sharpton at work bring it together with various sectors of society for a send google hoping to advocate for the rights of others and enunciate the inequities that exist in our nation. In organizing the 50th anniversary of the March on Washington in the summer of 2013, Rev. Sharpton invited a broad array of African-American clergy, national civil rights leaders, elected officials and members of the LGBTQ community to work collaboratively for the planning process. In several meetings before the 50th Anniversary of the March on Washington, some clergy expressed a degree of consternation due to the presence of LGBTQ activists, including myself. With clarity and unequivocal truth-speaking, Reverend Al Sharpton denounced any form of homophobia yet again calling on all people to work together for our collective well-being. Rev. Sharpton unabashedly addresses youth development, voting rights, racial inequities, economic injustice, police brutality and disparate treatment of people of color. He eloquently and pointedly calls for justice on every front.